In the beginning of your skatepark advocacy effort you will establish what it is you’re proposing for your community. Skateparks come in all shapes and sizes, and what works for one place may not work in another. Your town may need a large skatepark in the center of town, or maybe it needs several smaller skateparks in each residential neighborhood. The number and size of your skateparks is certainly something you will need to identify. Skateparks can be thematic and have broad visual appeal. There are different styles of skateparks. Some skateparks are designed like athletic facilities with fences, lights, and bleacher seating. Others are multi-use spaces that don’t look like traditional skateparks. The disciplines within skateboarding, and your community’s preferences, will also help determine if the facility looks like an urban plaza or is characterized by flowing, curved concrete. There are skate spots that are little more than a single piece of skateable art, and skateparks that include architectural reflections of your town’s history and character. The character of your facility will change as the skatepark progresses, but having a clear idea of your starting point is essential for helping people share your vision. Each stage in the skatepark development process will require time and dedication. As you talk about the new skatepark, your audience may not have an accurate mental picture of what you’re talking about. When your vision is clearly defined, you will be able to communicate what is best for your community. Ambiguity will lead to confusion, and confusion will eat up valuable time and resources. 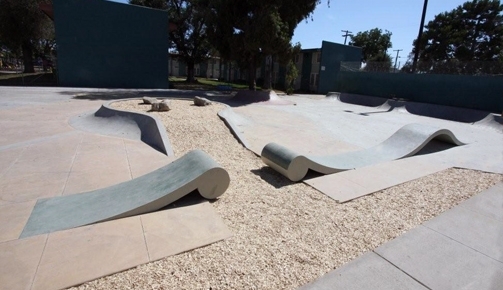 Skateparks can be built to appeal only to skaters. Finally, there are the functional considerations. You won’t be able to do this alone, so you will need a plan for enlisting allies, volunteers, and building public support. The skatepark vision is your rallying cry to get people involved. Of course, there’s also the need for money, and the better your fundraising plan is, the sooner you’ll be using the new skatepark. Shaping your skatepark vision is the first step in starting your new skatepark project and will be the basis for the later work of implementing your awareness and fundraising campaign. The first important step in your new project is learning about the major milestones that every skatepark goes through. It’s not critical that you understand each step thoroughly, but having a “big picture” will help you stay on track throughout the different stages of development. There are major milestones throughout the process, and the most significant one is when the ribbon is cut on the new skatepark. That’s the ultimate goal. Between then and now you will need approval from your city or Parks Department to work on the project, develop the resources for effective fundraising, and build popular public support for the skatepark. Before you can do any of that, you’ll need a firm idea about what it is you’re working for. You develop the formal “idea” of a skatepark and fill in some of the details about what you’ll need to see it become a reality. You create and implement a public awareness strategy. You develop fundraising goals and meet them. A designer is hired to work with your community, and a construction firm is hired to build the designer’s plan. You and your group create ways to support the health of the skatepark. Each stage in the skatepark development process will require time and dedication. It’s also worth noting that the stages generally don’t have clean beginnings and endings; the skatepark vision will continue to be refined throughout the advocacy stage, and advocacy will continue on through fundraising, and so on. When you’re ready to begin, take a look at some of the first steps in shaping your skatepark vision. You can learn how and why skatepark advocacy starts, some common misconceptions about skateparks, and how the skatepark provides a solution to the challenges your community is facing. The broad strokes on your new skatepark advocacy mission. 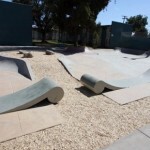 Why do communities need skateparks? The personal benefits of skatepark advocacy last a lifetime. Many people enter into skatepark advocacy thinking things will run differently. Knowing who skateboarders are is the first step in talking about skateparks. There are valuable lessons to be learned in the history of skateboarding and skateparks. Your community has unique characteristics that will influence what kind of skatepark will best meet its needs. Some of the biggest community concerns relate in some way to skateboarding and the new skatepark. How you talk about the new skatepark will reflect how you think about it. How many people will the new skatepark directly serve? Find out here. A quick look at how your community is organized by local decision-makers. How younger people get around town is a major consideration for where the skatepark goes. Obstacles in town can have a major impact on the skatepark’s attendance. The skatepark typology offers different skateparks for different needs. Your formula for calculating how much total skatepark terrain your community needs.